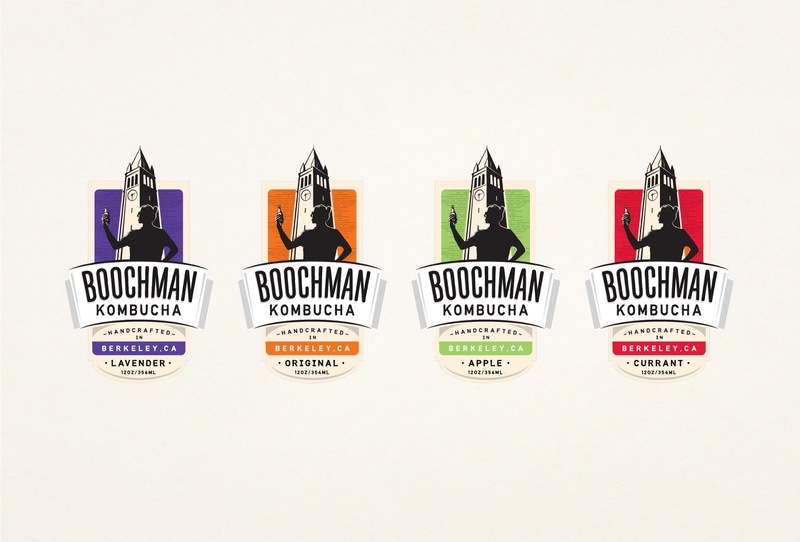 The Boochman Kombucha brand was inspired by the clock tower at Berkeley. 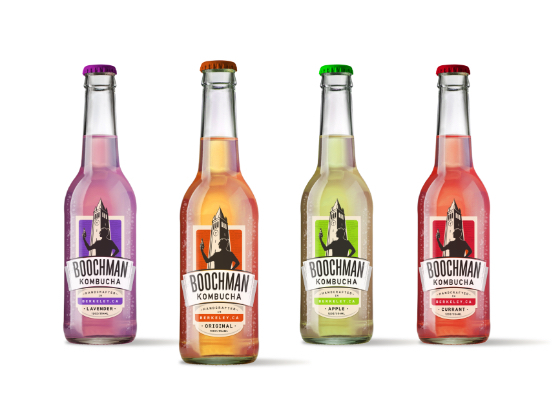 We managed to bring the product forward in the local sense. 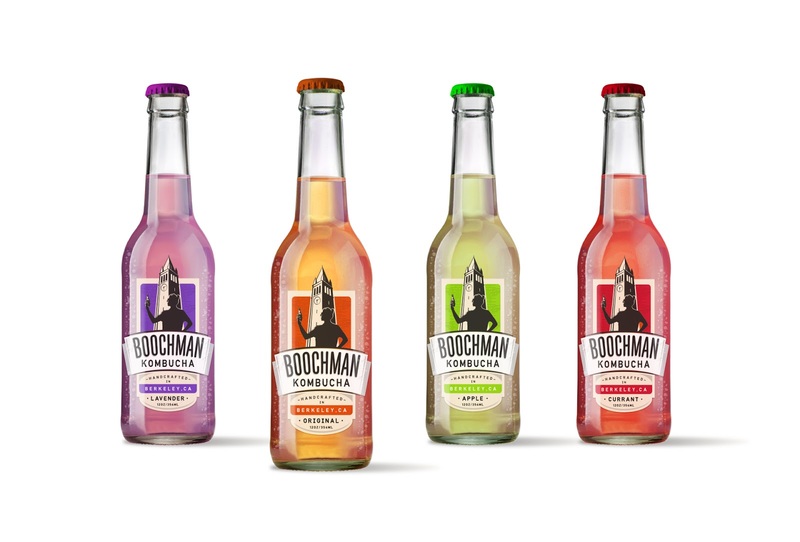 The brand name comes from the manufacturer's surname. 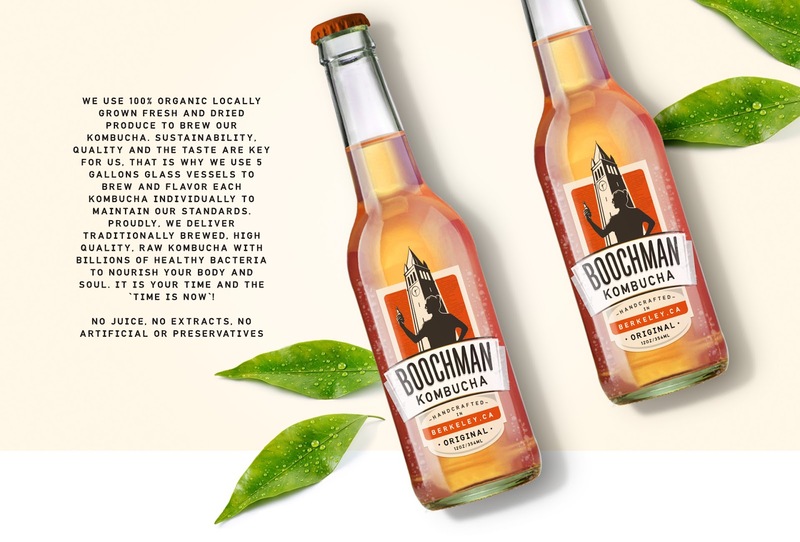 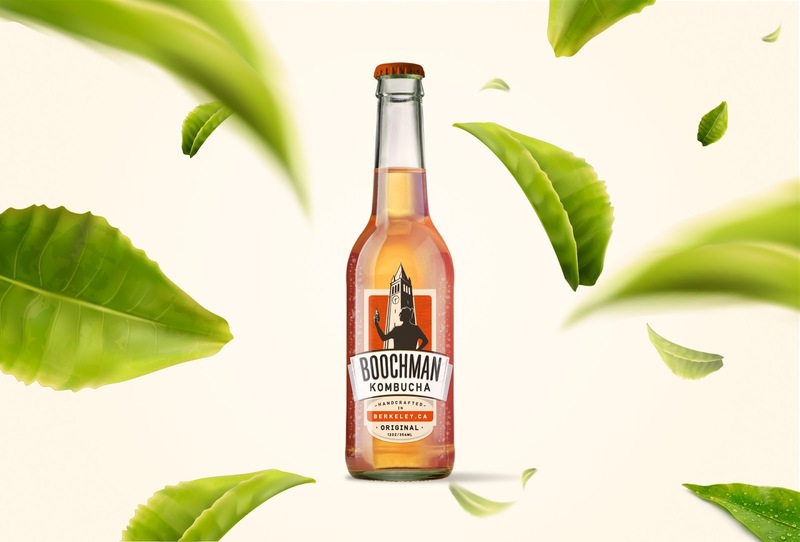 The popular drink of recent times for kombucha has been appreciated as a local, friendly and remarkable design.